Use this order form to presell fire extinguishers - click here! For every 12 extinguishers ordered, receive 2 additional extinguishers free. Fire Extinguishers work great for safety weeks and community events such as fire prevention. We provide top of the line fire extinguishers strenuously tested to ensure it will work in the time of need. Let your group inform and help others to stay safe with your Fire Extinguisher Fundraiser! There are 6 fire extinguishers in each case. 1. Sell each fire extinguisher for $15.00. 2. Each case will sell for a total of $90.00. 3. 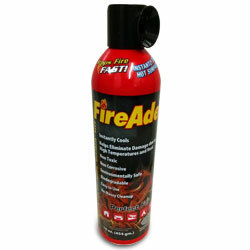 Your price for one case of fire extinguishers is only $54.00. 4. You make $36.00 per case. That's 40% PROFIT!